Chinese golfer Wu Ashun, possibly the first candidate to represent China to compete at the Rio 2016 Olympics, is now poised to train at Shuangshan Golden International Golf Academy in Zhangjiagang. Wu Ashun, from Fujian province, ranks 133rd in the world, the highest among Chinese golfers. He has won the Hong Kong Golf International Open and Volvo China Open. To prepare for the upcoming Olympics, he will stay at the training base in Zhangjiagang for two weeks. "My body is fit and I feel in a great zone," said Wu, "I am ready to earn more points in the following world class series." 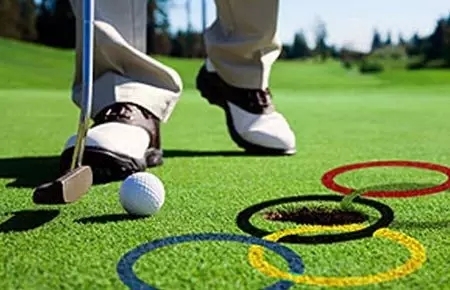 This year will be the first time that golf has been included in the Olympic Games. As a professional player, Wu is excited that the so-called "noble sport" is increasing in popularity, particularly in China. The resplendent landscape as well as the high-end facilities at the Shuangshan Golden International Golf Academy also impressed Wu a lot. 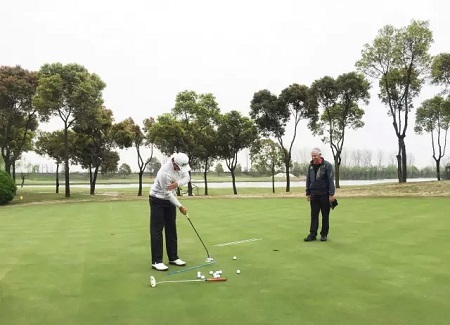 According to Huang Fei, founder of the academy and former national women's team coach, the academy not only provides training bases for professional players, but also fosters the development of young golfers. "Our goal is to make this the cradle for Chinese golf players," said the coach. "We are currently applying to turn the academy into a national level teenage golf training center."